We are currently undertaking ACR PLB ResQLink Battery Replacement on the PLB model 375 part numbers 2880 and 2881. No attempt at other repairs will be made. 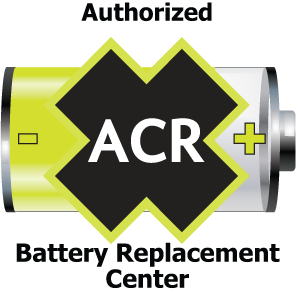 If an ACR product appears to be damaged, or we are unable to replace the battery, we must contact ACR’s Service Department. They will assist us in determining the best course of action. If you would like a quote to replace the battery in your ACR product please use our enquire now form and our team will be in touch. When making an enquiry please state the following. The Model Number and the Product Number (P/N) of your device. It’s not only a battery replacement. The battery alone cannot just be purchased. You need to have the tools, hardware and software to perform a battery replacement. Full functional testing is done on the unit after the battery is replaced, to ensure the unit will last another 5 years in the field. The battery of a Personal Locator Beacon needs to be replaced by a trained technician. Red Baron ALSE’s staff are trained in this area.